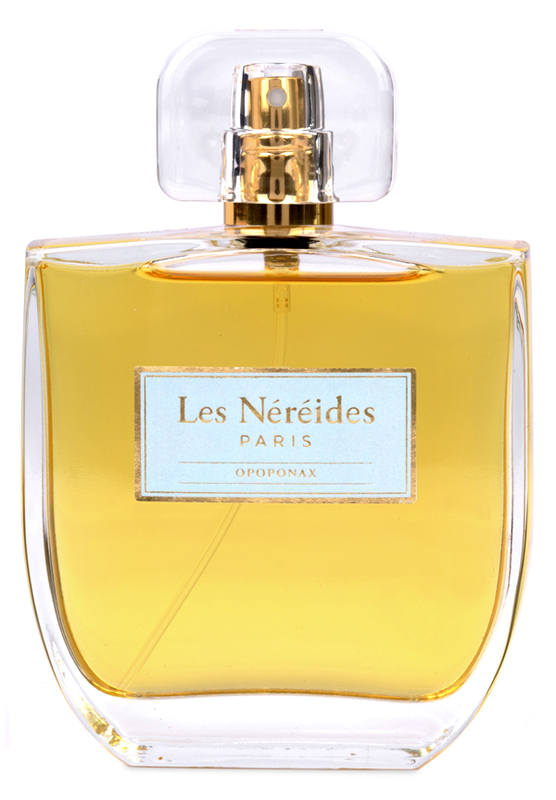 Opoponax / Impérial Opoponax is a shared / unisex perfume by Les Néréides. There are 29 reviews of Opoponax / Impérial Opoponax. Candied orange peel with bergamot. It becomes sweeter, more syrupy. Sweet too, are the jasmine and hawthorn notes. Close to the skin there is woodiness, from sandalwood. It doesn't take long for the sweetness to change. Myrrh, vanilla, amber, and benzoin create a thicker texture. Lots of vanilla icing later. Nearly cloying. Not quite, for me. I really like this fragrance in the opening it smells of that same vibe Diptyque Eau Lent has. I also line Diptyque Eau Lente as well a favorite. It is a sweeter take with vanilla bean,tonka,benzoin and added spicy note. This Opopponax and Eau Lente are neck and neck. When I want a sweeter version I wear Opopponax when I'm in a less sweet mood I wear Eau Lente. Well done a great composition! Opoponax is a sweet/resinous fragrance. At first spray I did not smell that much of it. After about one half hour it started to develop and WOW!, I could not stop smelling myself. Besides Opoponax, I smell lots of amber, vanilla and sandalwood. It is very safe for office or casual wear. It is a beautiful composition. Opoponax is a honest resinous-vanillin scent, quite sweet but with a nice and pleasant dusty "solid" feel. Spices (cumin, cinnamon), a subtle mossy-woody base accord and obviously a load of resins as prominent accord. Not particularly opulent, or radiant, or baroque as a "total-resinous" scent may appear; it's quite pleasant, but also somehow restrained and, well, a bit dull... for the first hour, at least; then it starts to warm up and become increasingly brighter and radiant, like a dawn arising. Nothing amazing, but surely better than the opening. Quite good overall. I'm not sure how I feel about Imperial Opoponax. I am smelling a lot of stuff in here that doesn't quite fit with my (pre-conceived) idea of this as a golden, ambery oriental in the Shalimar mold. For one, I get a lot of resinous lavender, the same type I smell in Gris Clair - dry, shrubby, Mediterranean-hillside-struck-by-electrical-fire lavender. I also perceive a heavy helping of bitter powdered almonds, which adds a dusty cyanide flavor to the brew, as well as a slight foody element. It feels (play) doughy, thick, and almost pungent. But since I don't see lavender or almonds (heliotropin) or even cherry pits listed as notes, I can only assume that what I am smelling are the natural facets of sweet myrrh or opoponax. It dries down to a sweet, woody vanilla base, which feels more pleasant to my nose. But that opening! I wish I understood it more. I think my nose is broken. Maybe I need to try this again in winter. Today, with temperatures reaching the high thirties in Montenegro, this feels like being choked by a big bowl of pudding infused with almond essence. Thank God I only paid 12 euros for this on eBay. Impérial Opoponax is an interesting and original take on a note that I enjoy. It starts with blunt citrus over an unusual, soft, buttery accord that I can't quite place at first. The citrus recedes rapidly, while the buttery accord reveals itself to be an incredibly smooth sandalwood seasoned with benzoin or vanilla. The combination smells remarkably like warm condensed milk, and is just as comforting. When the opopanax arrives it's surprisingly sharp, and I realize immediately why it needs the fluffy sandalwood and vanilla pillow. The heart of the scent is at once arid and sweet, reminding me not only of condensed milk, but of sweetened flaked coconut. As the scent evolves the opopanax takes on a bitter edge - something I actually like, since it keeps the scent from getting sickly sweet. The drydown is all about vanilla and sandalwood, becoming quite powdery by the end. Good sillage, moderate projection, and the scent lasts quite well.